Specialized's Torch Collection honours the Gods of Sport by bringing the flame back to competition. The S-Works Evade LTD Helmet Torch Edition is a celebration of the greatest sporting event on earth, with colours signifying the flame of competition. The Evade uses the same profile shape as the TT, which results in a drastic decrease in drag. How drastic? 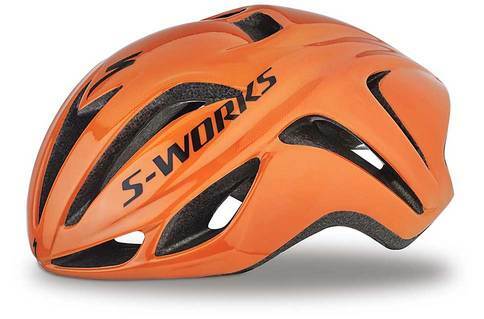 Compared to the S-Works Prevail, it saves you 46 seconds over 40km.